Promoting Online – Remember those Sites, Passwords & Usernames! 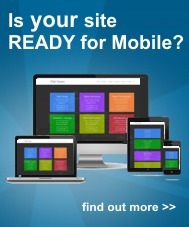 So you have got your site together, it looks great and you now want to tell the world you are ready for them. Great! You start creating your Google Accounts, Twitter and Facebook pages, perhaps you have some video content, so off to YouTube you go too! STOP right there! Before you get carried away, make sure you get a couple of things straight. A username and password set you can use to carry across all of these sites (if possible /available). Perhaps like us, you have a fairly unique name, iPageDesigner. Great, just make sure you carry this username in the same format on each social site you register with. Don’t be tempted to say use iPageDesigner on some sites and iPage-Designer on others. It not only confuses you, when you try to login to these sites, but it also confuses your brand (if you are keen to create one) and your followers too. Keep it simple, and use the same username format for all. Its a whole lot easier in the long run. Create a social email account! It helps you keep track of whats going on. You will have enough in your inbox already, so it really is best to keep this whole new area of online marketing, where you can see it. There is nothing wrong with using the same password for all your social sites, but it can pose a risk. Especially if you have a team of staff who all have access to your social sites. Or through poor password management, your password leaks out! It can leave you wide open for abuse. Just make sure the passwords for your social sites are 100% different to those you use for your online banking, bank card machines, the very important stuff in your work / personal life and so on. Be sensible and seriously keep these seperate! Finally, perhaps store safely a document that holds a list of all the social sites you visit and register on. A note of their websites and reason for / date registerd. You may find yourself chasing your tail, otherwise thinking ‘I’m sure I created a an account here, or did I’. Create a list, store it safe and update it each and everytime you register on a new site! Now get out there and promote your site!! !